Today I have a Color Club polish called Positively Posh from the Untamed Luxury collection. Now while I love the colour - I do not love the application. In fact, dare I say it - it's among the worst I have used (sorry Color Club!) The formula was so jelly like and runny that I flooded my cuticles too many times to count. Clean up was a nightmare. Anyway once I got the application and clean up over with I really enjoyed this mid chocolate colour with purple undertones. So the highlight of my day was purchasing a bottle of China Glaze 2030 for $14 including shipping from our own Trademe (NZ equivalent of Ebay) SCORE!! Love the design you chose and the colour combination! 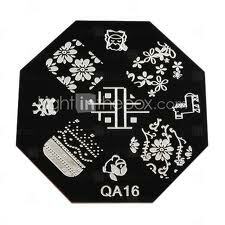 Lovely stamping!!! love the color combo too! I need to get my hands on those QA plates!! This is really nice-stop dissing it!! 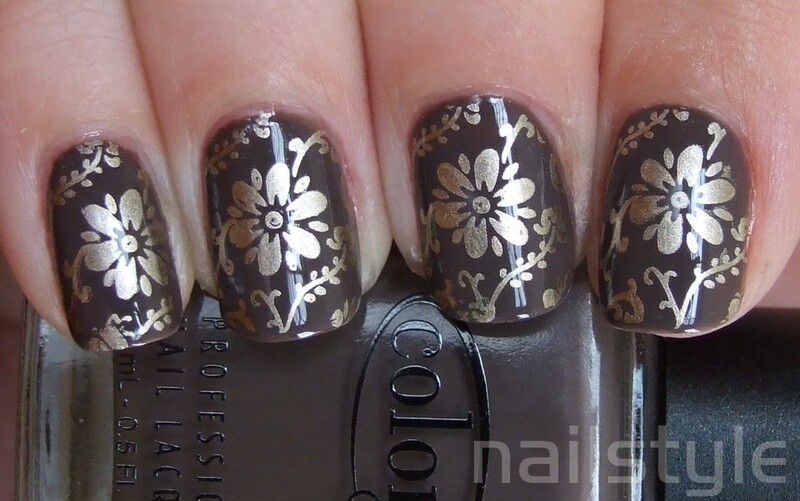 Sorry you had trouble with this mani! I think it looks fabulous! Really pretty. I love floral patterns!! !